Library faculty provide services to students and enhance student engagement through partnerships with faculty and the development of directed learning activities which extend classroom instruction and develop information literacy skills. Monday – Thursday: 7:30 a.m. – 8:00 p.m.
Friday: 7:30 a.m. – 3:00 p.m.
· Subscriptions to over 20 databases, providing access to full-text periodicals. 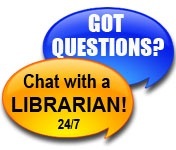 The Library welcomes your questions and comments.